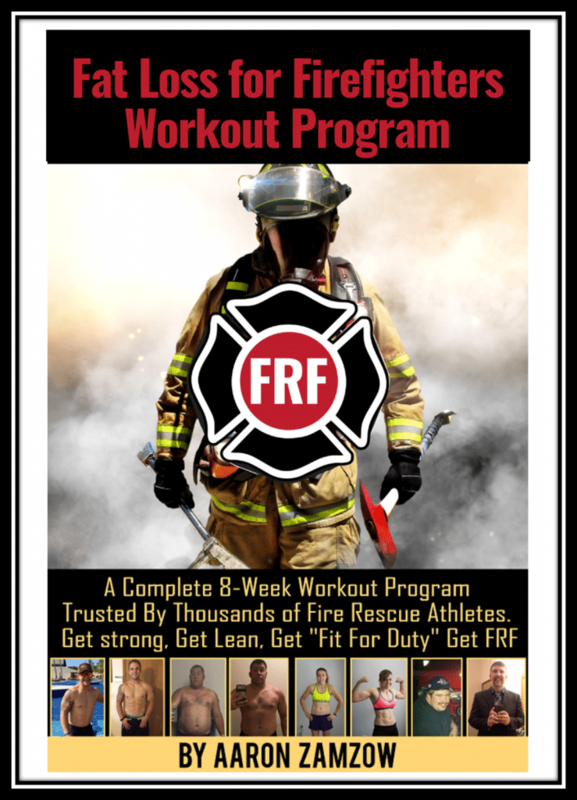 FRF- The Ultimate Fitness Resource for the Fire Service | On a mission to help 100,000 firefighters, EMTs and medics get fit for duty. Get Fit for Duty, Get Fit for Life with FRF. Your crew, your family, your department depend on you! Fire Rescue Fitness was created to provide resources to firefighter, EMTs and paramedics to help them get and stay fit for the fire and rescue scene. 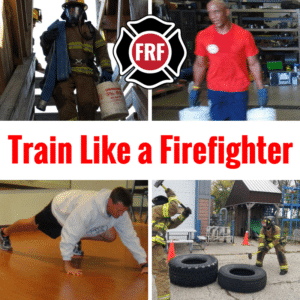 We provide workout programs, eating guidelines, recipes, and fitness tips that will help you (and your crew) get leaner, stronger and performing better on (and off) the fire/rescue scene. As a fire rescue athlete you need to have confidence in your physical abilities and need to perform in very strenuous conditions. 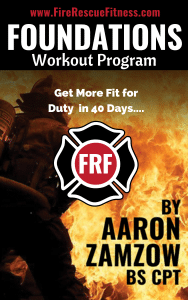 The mission of FRF (fire rescue fitness) is to help change the fitness culture of the fire service and help 100,000 firefighters, EMTs, and medics get and stay "Fit for Duty." Its back for 2019! Take the FRF "Fit for Duty" Challenge. Join Today! Win Cash and Prizes and get fit for duty in 2019. 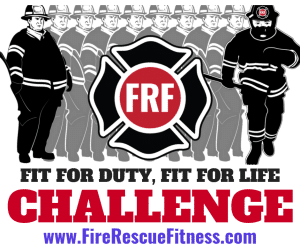 Thousands of dollars in cash and prizes will be awarded to Firefighters, EMTs and Medics, the FRF Fit for Duty Challenge was created to help change the fitness culture of the fire service and to provide participants with a complete workout program, nutrition guidance, coaching and motivation. The next round of the Challenge will run March 1st to April 30th. You can join today and get a headstart! Get all the resources, get organized, start cleaning out your cupboards. Show me more FRF Results (click here). Start Here. The Foundations program will teach you the fundamentals of fitness and nutrition and get you on the right path to weight lose, strength gain and performance improvement. Become the Ultimate Fire Rescue Athlete with this 8-week program. 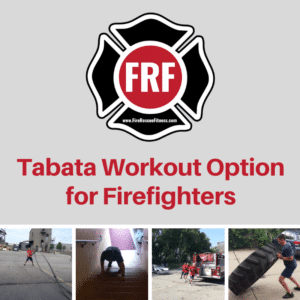 Looking for a program to help you lose bodyfat, gain strength, and improve your performance (on and off the fireground)? The Ultimate is for YOU. Turnouts and Uniform fitting a little tighter? Get lean and strong with the FRF Fat Loss workout program. These metabolic workouts will help you burn calories and get you moving. Lose your belly and improve your performance. All these FRF Workout Programs include eating guidelines, coaching group, and recipes. Follow Fire Rescue Fitness on Social Media. 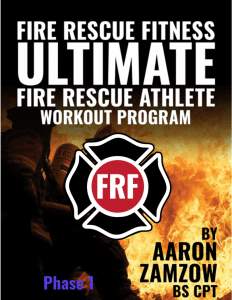 Follow the FRF Podcast "The Fire Rescue Athlete"
Firefighter Fitness- Do this to take your workout to the next level. 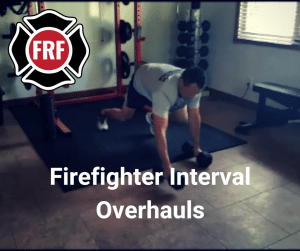 FRF Afterburners are a great way to burn fat and incorporate fireground movements into traditional workouts. Give them a try!